I couldn't find any of Chris' work on the forum. 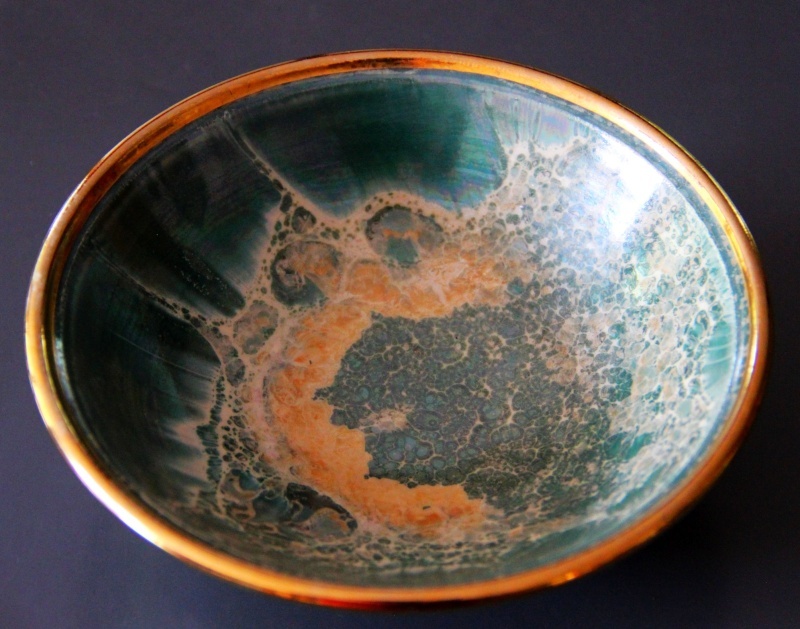 Beautiful metallic glazed bowl. 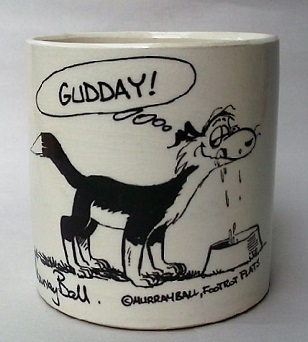 it seems like he is still working in Wellington although this piece has a PN/NZ mark? Palmerston North? 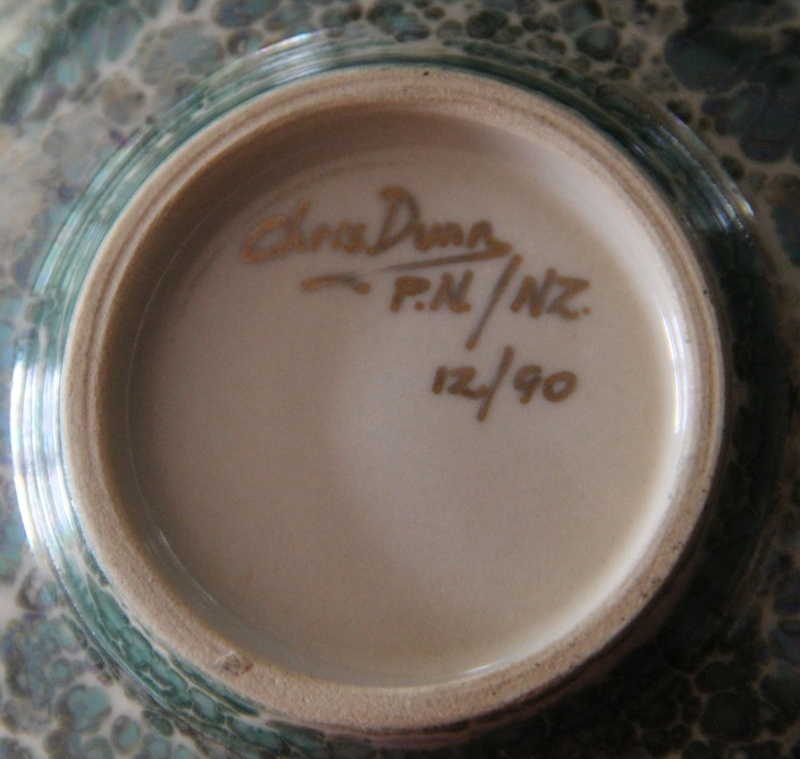 There is a Chris Dunn from Westland CD mark in the Potters Marks book, but I don't know if they are the same potter.